The hiking trip concluded in Krakow two days ago with a city tour. Alas, our last 2 hikes were not in sunshine. In fact, the last hike was in much rain and mud. I called the hike “Chutes and Ladders” after that famous childhood game most of us remember. 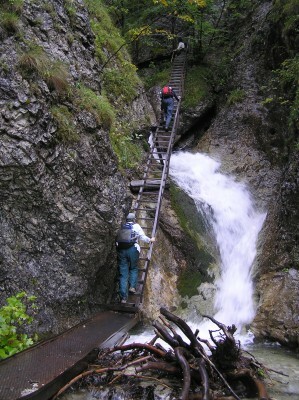 It involved traversing waterfalls and gorges on chutes and vertical ladders. It has rained so much that there was a great deal of water everywhere. This was another terrifying experience for your friend. Next time I contemplate a hiking trip, I’m going to have to inquire first about the fear factor. This hike also included some ridge and forest hiking and finally, some of the most sticky and disgusting mud I’ve ever hiked in. We had a fine carnivorous feast for a farewell dinner here in Krakow and then we were on our own again. Yesterday, we went to a museum and saw the paintings of a fine Polish painter named Stanislaw Wyspianski. Then we walked over to Kazimierz, the former Jewish section of Krakow. As you undoubtedly know, Poland had the largest Jewish population in Europe (3,500,000) prior to World War II with many of them living here. 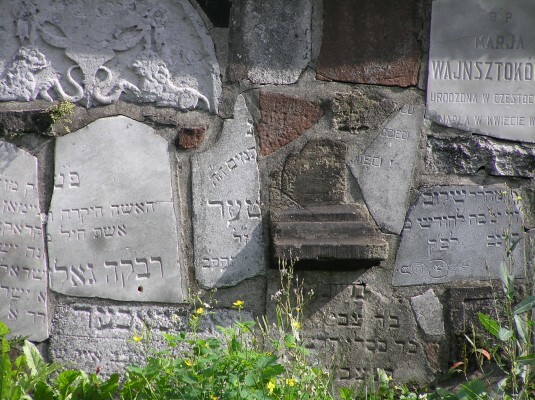 Now, there are only a few hundred Jews living in Krakow. However, because it was Rosh Hashonah, the synagogues and cemeteries were closed so we were unable to view them. 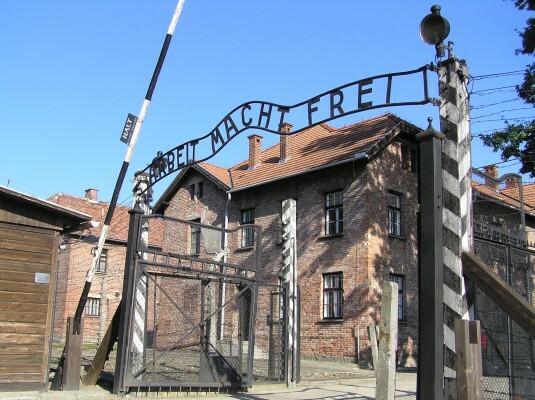 Today, we went to Auschwitz and Birkenau. Actually, we somewhat dreaded going, fearful of the strong emotions this would stir up for us. Surprisingly, we were not touched as deeply as we expected, much less so than by some of the books we’ve read (e.g. Elie Wiesel’s “Night”, William Styron’s “Sophie’s Choice”) and movies we’ve seen (e.g.”Schindler’s List”, “Playing For Time.”) Although the exhibitions were very interesting, it was like a museum, cleaned up and sanitized. Indeed, it was, for once, a beautiful sunny day. Perhaps had we gone on the bleakest of winter days without crowds, it would have felt more authentic. One deeply moving exhibit, though, was thousands of suitcases in a huge display case. Many of them had the names, countries of origin and dates of birth of their owners. Very, very sad.